While the presidency has always been a political office, the distinction between campaigning and governing has become increasingly blurred in recent years. 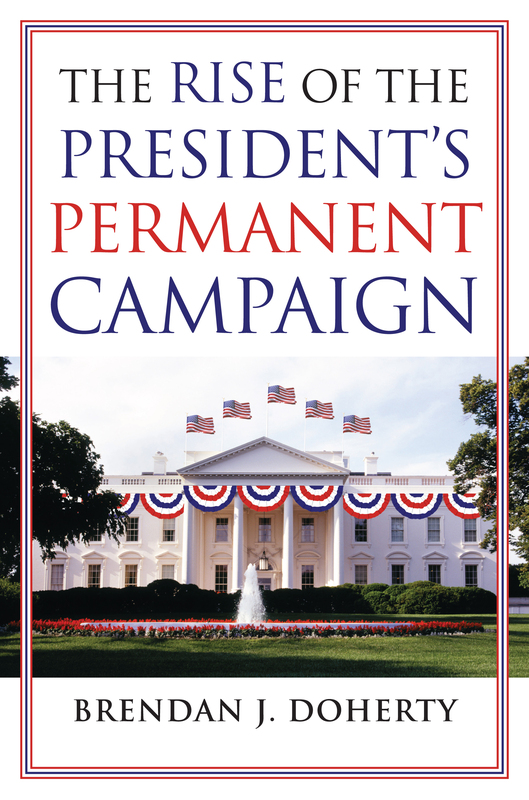 Yet no one until now has documented the phenomenon of the "permanent campaign" and analyzed its impact on the executive office. In this eye-opening book, Brendan Doherty provides empirical evidence of the growing focus by American presidents on electoral concerns throughout their terms in office, clearly demonstrating that we can no longer assume that the time a president spends campaigning for reelection can be separated from the time he spends governing. To track the evolving relationship between campaigning and governing, Doherty examines the strategic choices that presidents make and what those choices reveal about presidential priorities. He focuses on the rise in presidential fundraising and the targeting of key electoral states throughout a president's term in office—illustrating that recent presidents have disproportionately visited those states that are important to their political prospects while largely neglecting those without electoral payoff. He also shows how decisions about electoral matters previously made by party officials are now made by voter-conscious operatives within the White House. Doherty analyzes what these changing dynamics portend for the nature of presidential leadership, contending that while such strategies can at times strengthen a president's hand, they can also undermine his role as a unifying national leader, heighten public cynicism, and limit prospects for bipartisan compromise. He further shows how trends in presidential fundraising undermine the conventional understanding of the predatory relationship between the president and his party. Drawing on new systematic evidence of presidential fundraising and travel, archival research at presidential libraries, and accounts by presidents and their aides, Doherty musters a mountain of evidence to offer an objective, comprehensive argument about the causes, indicators, and implications of the rise of the permanent campaign as no previous book has done—an evenhanded account that seeks to disparage no individual president. Concise and accessible, The Rise of the President's Permanent Campaign engages crucially important questions about the development of the presidency—as well as larger normative questions about what we want in a leader—as it challenges the convention in political science that has long kept most scholarship on presidential campaigns separate from the study of the presidency itself. Brendan J. Doherty is an associate professor of political science at the U.S. Naval Academy and coauthor of Clash of Ideals: Cases in American Political Development.